Temperature measurement accuracy is a difference, specified with a finite accuracy, between an actual value and a measured value. Due to the fact that an actual value is unknown, it is possible to determine, with some probability, a range within which it is included. Therefore, temperature measurement accuracy is determined by a value of uncertainty of this result. There are numerous documents with established standards which define requirements and appropriate course of action in case of expressing uncertainty. Definition and method for uncertainty calculation are described in the following document: “Evaluation of measurement data — Guide to the expression of uncertainty in measurement”; JCGM 100:2008 (with further supplements). According to recommendations stipulated in the above-mentioned document, notions of an error and uncertainty are used to describe the accuracy of measuring equipment only. an absolute boundary error is expressed as a temperature range, e.g. ΔT = ±1°C. a measured value + resolution error. Resolution is, alongside a boundary error, a key parameter of thermometers. A value of resolution is the smallest increment of temperature that can easily be measured with the use of a particular thermometer. For example, a temperature of 23.5°C shown on a digital thermometer display is measured with a resolution of 0.1°C. It does not mean, however, that measurement accuracy is of the same value. In case of thermometers with very small resolution, a resolution value may be close to a boundary error value of a thermometer. In case of precise measuring devices, a resolution value is always considerably lower than a boundary error value. In practice, an error resulting from a finite resolution of a thermometer constitutes an element of a boundary error. 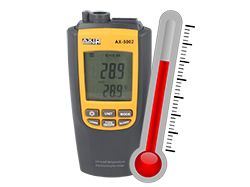 Error of a thermometer and measurement accuracy are closely linked, however, they have different numeric values. When we know a total error of a thermometer and determine measurement uncertainty value, we will be able to determine temperature measurement accuracy. any additional errors that can be identified and expressed as numerical values. EN 60751. Platinum temperature sensors of industrial resistance thermometers and platinum temperature sensors; this standard defines physical characteristics, metrological and fixed parameters of platinum resistance thermometers. A boundary error and resolution characterize a temperature measuring device. 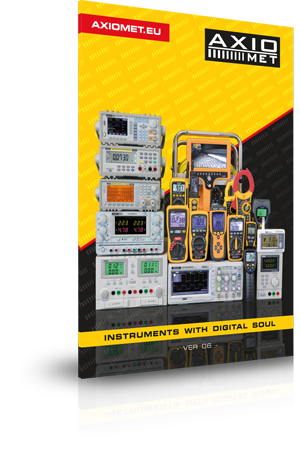 Their value depends on measurement methods, temperature sensors, converters and measuring systems used in thermometers. If we want to specify accuracy of a measurement, it is necessary to determine a temperature measurement uncertainty value.